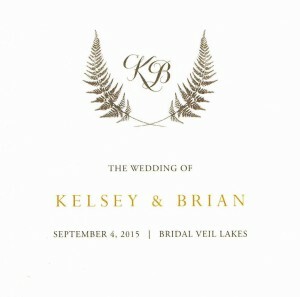 Kelsey and Brian attended our wedding Voila Catering did for Nicole & Simon at Bridal Veil Lakes in 2014. 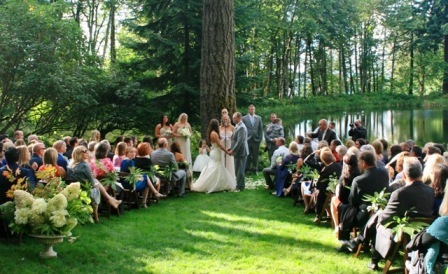 And when it was time to choose a catering company for their wedding at Bridal Veil Lakes, they knew exactly who would be best! 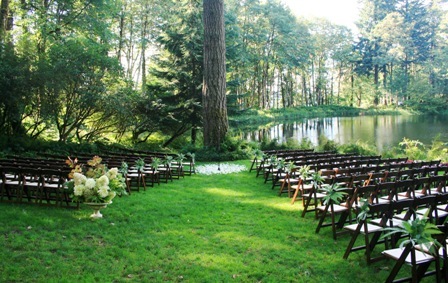 Special rented chairs for the wedding with the tall fir tree as the backdrop for the ceremony is a unique layout for Kelsey and Brian. Ringbearer and Flower Girl at Bridal Veil Lakes wedding ceremony. 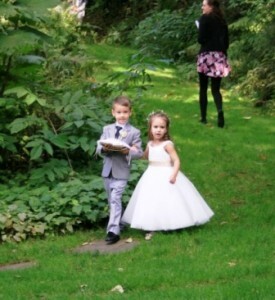 Ringbearer and Flower Girl successfully starting their walk down the hill to the main aisle at Bridal Veil Lakes with our wedding coordinator returning the the Bride to help her with final preparations for her entrance to the ceremony. When needed, all wedding coordination at our events are affordable provided exclusively by Weddings By Voila. 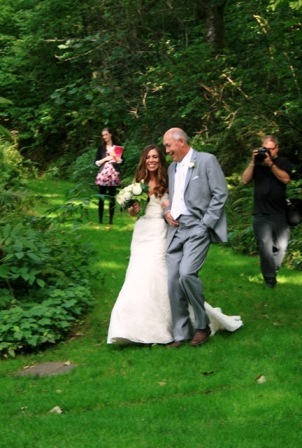 Bride Kelsey and her father start the walk down the aisle to her soon-to-be husband Brian at Bridal Veil Lakes! 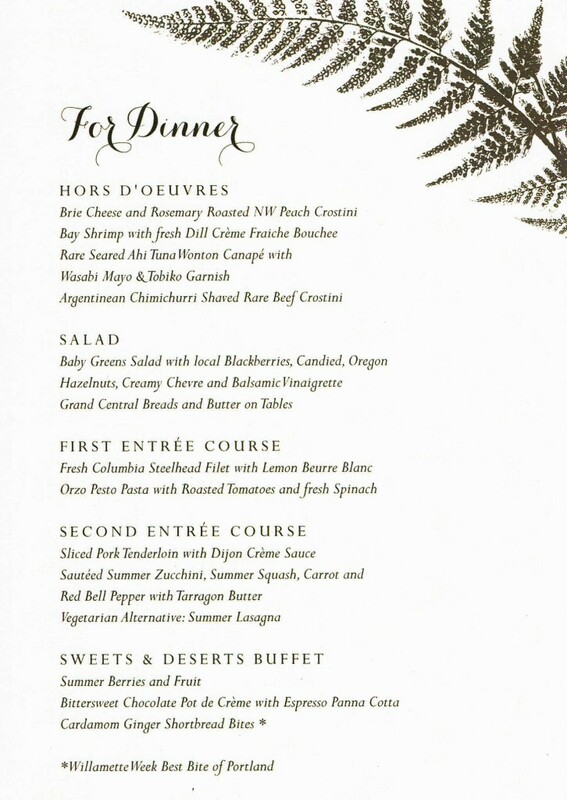 Specialty Summer “His & Her” Cocktails were served by our bartenders during the cocktail hour with passed hors d’oeuvres at the canoe and at the overlook areas. 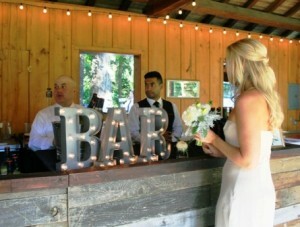 Multiple bars for this large event minimized the guest’s wait at the bars for drinks. Beverage service is a critical part of a special event and requires knowledgeable planning to get it right! 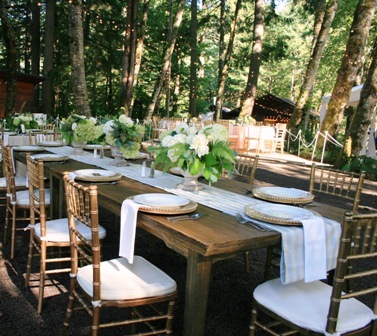 With over 15 years experience of planning and catering weddings, the team at Voila Catering will make sure everything including the beverage service goes smoothly. 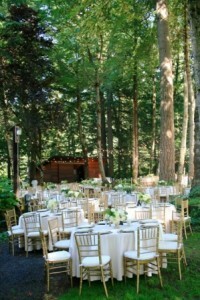 After the social period with cocktails and hors d’oeuvres, the guests were seated for their family style dinner cooked on-site by the skilled chefs of Voila Catering for the ultimate in catered food quality. After the family style dinner at Bridal Veil Lakes, the chefs of Voila Catering provide a dessert buffet featuring fresh seasonal local Berries and Fruits with Lavender Creme Fraiche, decadent Chocolate Pot de Creme, and award winning Cardamon Ginger Shortbread Bites!